Every boxer knows that an injury, no matter how small, can end a fight or even their career! So think first, prepare, and allow KO Tape to protect your tools. 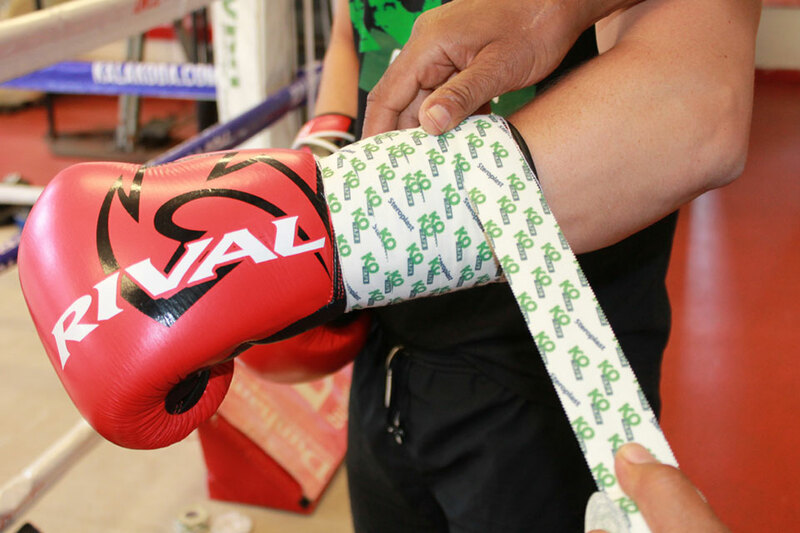 The 4cm tape is the widest tape in the KO family, it is perfect for glove tape. It will hold your glove laces in place, securing your gloves and thanks to its medical grade adhesive and waterproof qualities, it will never lose its grip mid-fight – It’s there until you remove it! The 4cm tape is also many cutmen/cornermen/hand wrappers tape of choice, covering more area of the hand when wrapping. The non-elastic, rigid tape has a smooth unwind to give professional hand wrappers a controlled application. The tape unwinds all the way to the core, so there is absolutely no wastage.